We’d love your help. Let us know what’s wrong with this preview of 52 European Wildlife Weekends by James Lowen. 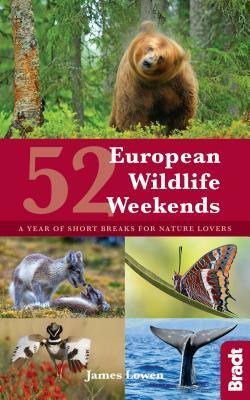 To ask other readers questions about 52 European Wildlife Weekends, please sign up. You're planning a weekend away and want to spot bison and beavers. Or admire exotic orchids and track down cave-dwelling amphibians. Perhaps you've always dreamed of donning a dry uit and snorkelling with orcas. But where? And When?